China’s role of becoming a global financial marketplace was strengthened after a domestic asset management firm issued the first European ETF. The new exchange traded instrument, that underlies Germany’s main stock index, will be listed on the Shanghai Stock Exchange. The new ETF, the HuaAn Germany DAX 30 ETF, was introduced by HuaAn Asset Management Co. Ltd, and will be listed on the Shanghai Stock Exchange. The ETF is the first-ever European index to be issued in China. Sino-German relations in the financial markets arena commenced a decade ago when Germany’s leading trading platform, Xetra, was selected by the Shanghai Stock Exchange. “As one of the innovation leaders in China’s mutual fund industry, HuaAn is dedicated to product and business innovation to meet investors’ growing demand for wealth management and asset allocation. We are pleased to launch the German DAX 30 ETF & feeder fund, which is the first mutual fund specializing on German stocks in China. This product also opens the door to invest in Germany and EU for China investors,” said Li Qing, CEO of HuaAn, in a statement. 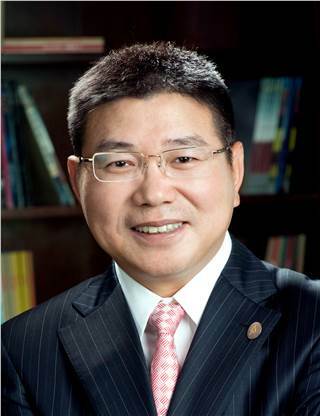 HuaAn Asset Management is one of mainland China’s largest fund managers with over $13 billion in assets under management. The new German instrument was devised with the support of STOXX Limited, the official marketing agent for the indices of Deutsche Börse and SIX, which includes the DAX and SMI indices. 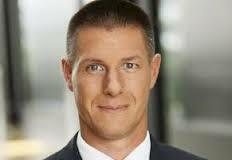 The German DAX, a derivatives instrument, is globally traded by professional and retail investors. It measures the development of the 30 largest and most liquid companies on the German equities market and represents around 80 percent of the market capitalization authorized in Germany. The listing on the domestic exchange in Shanghai will create more awareness of international stock indices among China’s growing investor base. A number of retail FX brokers offer stock indices as CFDs. Where Is the next Offshore China Hub? The new listing opens up opportunity for Germany to exercise its position as the preferred offshore hub for Chinese financial markets. The current move follows on from promising activity earlier this year. In March, Germany’s central bank, the Bundesbank, signed a memorandum of understanding in Berlin with China’s central bank, the People’s Bank of China. Both parties discussed future developments of offshore Chinese yuan clearing and settlement in Germany. Frankfurt continues its pitch against London, in Europe, for the top spot in becoming China’s main offshore financial centre, with Singapore and Hong Kong battling in Asia. The Chinese yuan has been creeping up the global rankings of most active internationally traded currency pairs. In the last BIS FX Survey the yuan was in 9th position.